Have students practice making facts of 10 with this bump game. All you need to supply is 1 six-sided dot die and counters. 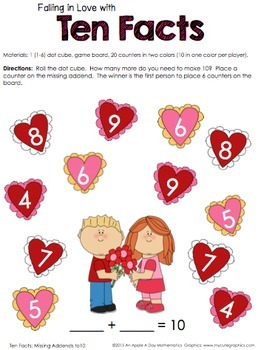 Use this activity as a fun math center to help your student review facts of 10.